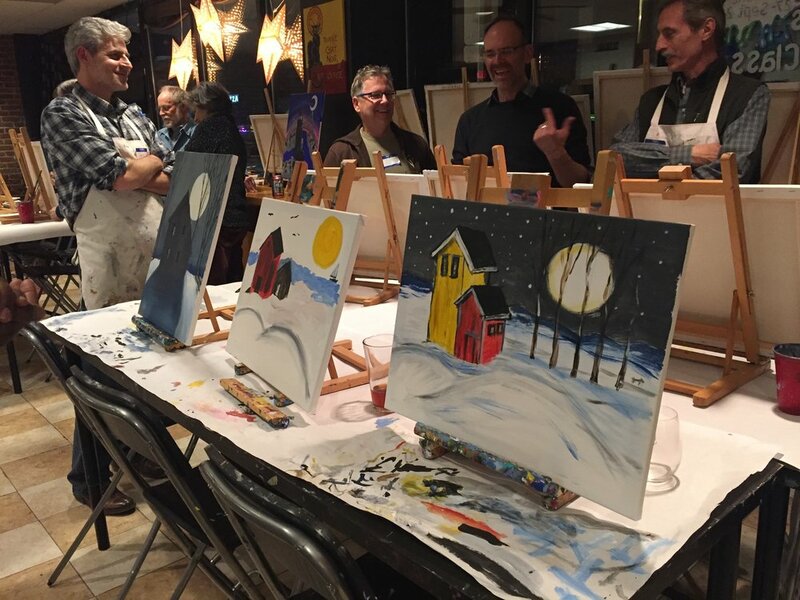 We had this year's "post-holiday" party at Arlington's Art Lounge! It was a fun challenge working with a less familiar media - for some of us, at least - others are clearly more familiar and have kept up with their hand-rendering skills despite the rise of CAD & BIM! 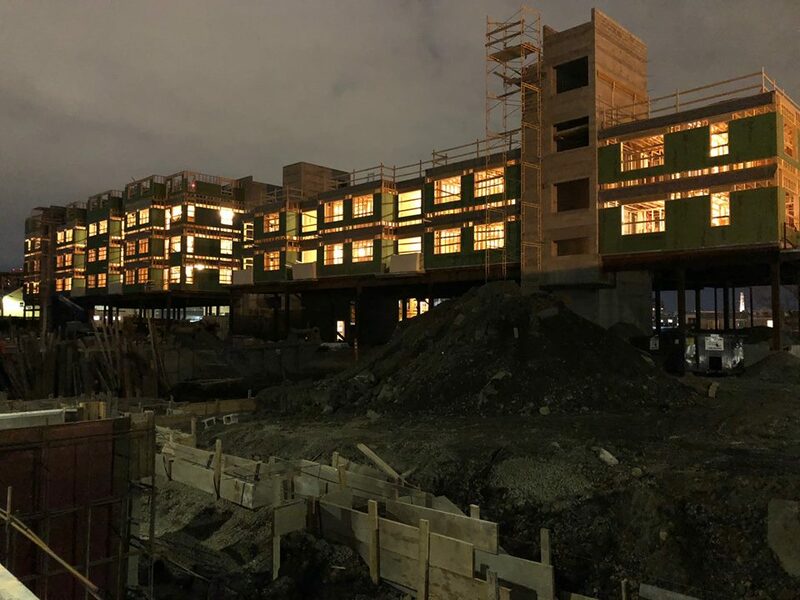 We have a couple of new photos from the construction site of Coppersmith Village to share - one that we received from NOAH, taken in the evening, making for very cool lighting. (And an update on construction progress.) The other, taken by our own Bob Wegener, shows the completed mock-up, including a sample of our final panel layout and color scheme. 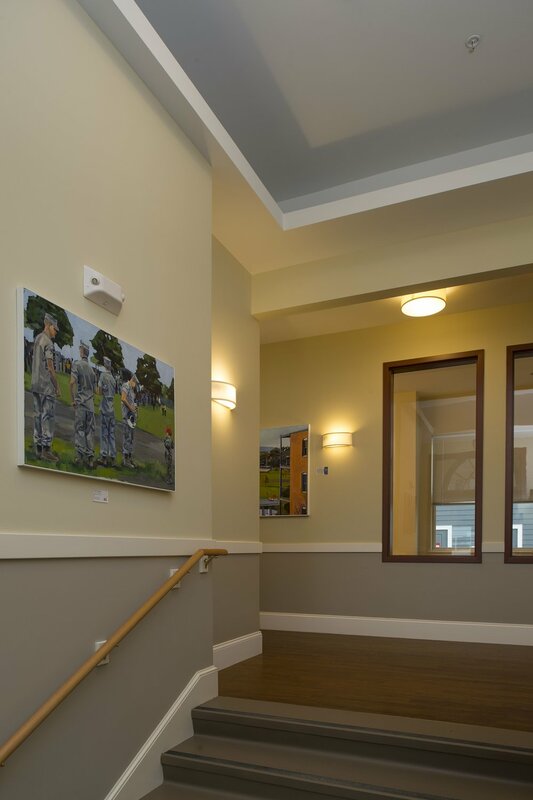 We recently finished up a series of photo shoots with Greig Cranna, an architectural photographer with a similar focus to ours - including affordable and supportive housing. 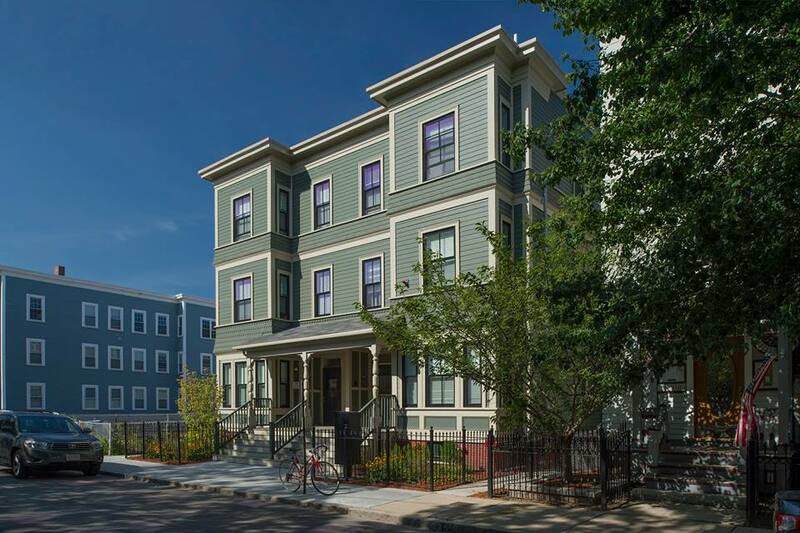 We got two great street shots of two smaller projects with Pine Street Inn and Homeowner's Rehab, Inc., as well as a longer shoot with the multi-building Patriot Homes in South Boston. 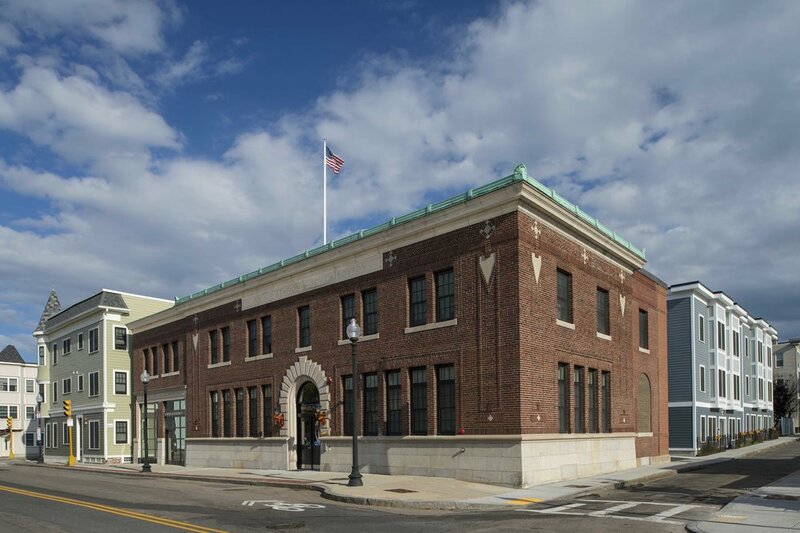 Besides the outdoor shots, we spent time in the shared common room in the old police station building (which is being put to good use, with its own growing library) as well as the new South Boston NDC offices, which are now located on the site of their newest property. A site visit to Coppersmith Village this morning produced some great construction photos. Coppersmith is The Narrow Gate's largest project to date, at over 106,000 square feet. 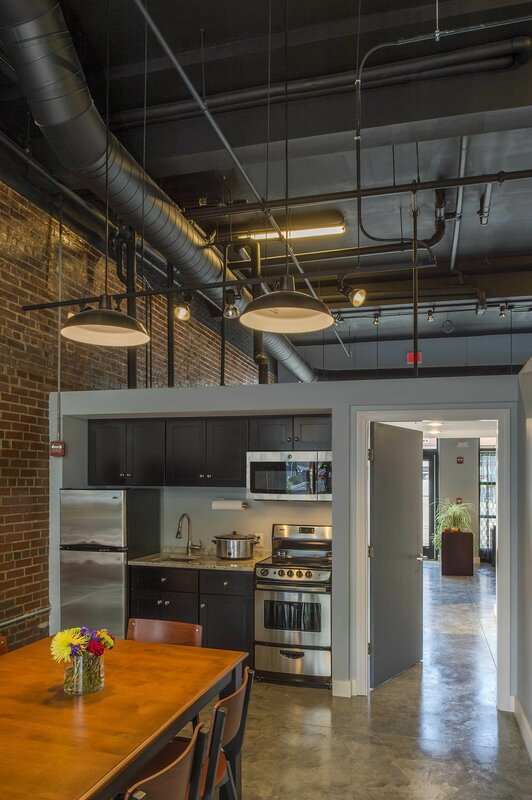 80,000 sf of that area is in our five-story, mixed use, midrise building, providing 56 rentable units. The remaining 26,000 sf is our set of 15 townhouses for home-ownership. Both buildings are 100% affordable! Our wonderful client for this job is NOAH - Neighborhood of Affordable Homes. You read more about it here: on our Coppersmith Village project page. You can see the mockup coming along, as well as some cool formwork from earlier this month. Plus we have an overall shot of the site, to show the scale. Very exciting process! We'll post more photos as we take them.